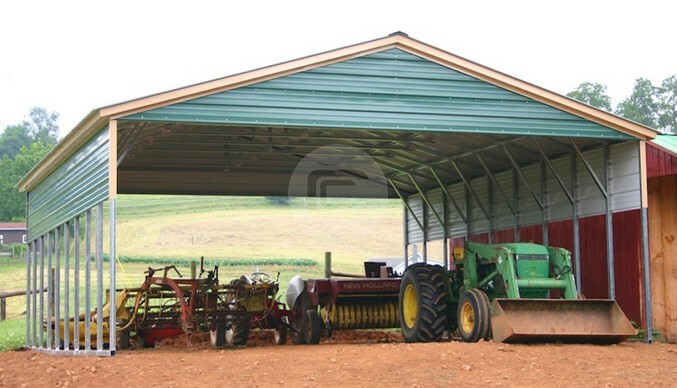 This 24×50’ Combo Utility building is a combo of excellent design and functionality. 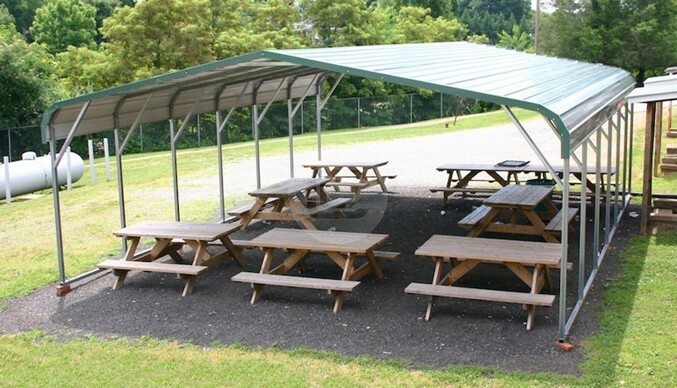 With 10’ tall legs and Vertical roof style, this Combo Building is certified for heavy winds and snow. The pictured utility building’s dimensions are 24’ width x 51’ length (frame length 50’ due to 1-foot overhang) and 10’ tall. 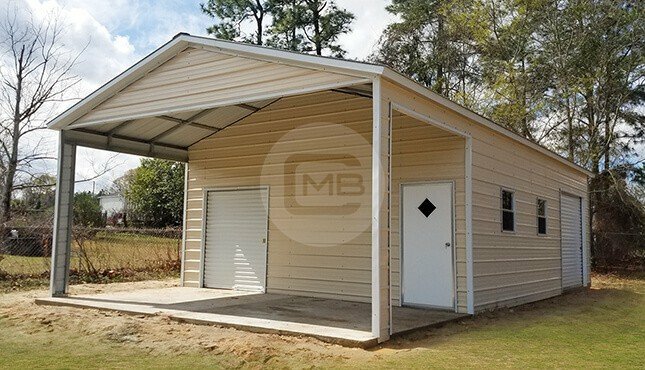 Almost half length of the building is all enclosed for the storage of possessions, and other half is open which can be used for parking, setting-up outdoor sitting area or any utility. It has two garage doors on the enclosed area one is 6×7 feet, and other is 8×8 feet with one 36×80” walk-in door and three standard size windows. The open area has framed-openings with a gable on the front wall to give it a finished look.